These twin homes were designed to blend in with detached houses and townhouses in a mixed-use community of varied housing products. 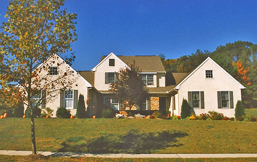 Built along the main entrance road, they give the appearance of a larger single family house. 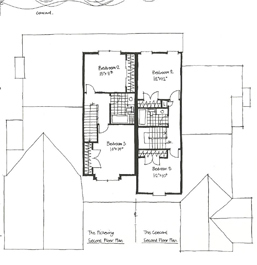 The two models are 32 and 36 feet wide respectively and contain 1600-1900 square feet. 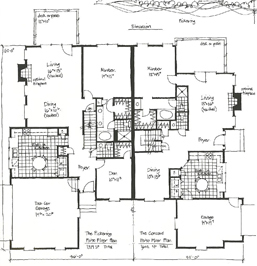 Both models include a first floor master suite and 2 bedrooms on the second floor. 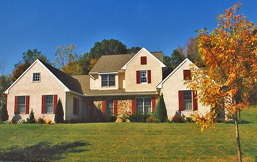 The exterior is a stone and stucco farmhouse style commonly found in Chester County, PA.